A new research study, conducted in Washington State, suggest a positive impact in the classroom with the use of Microsoft Learning Tools. 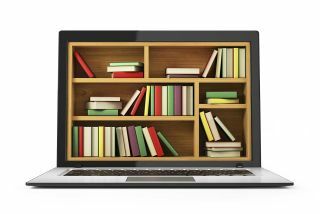 The study, from RTI International‘s Center for Evaluation & Study of Educational Equity, shows evidence that learners’ use of Microsoft Learning Tools both improves reading comprehension by 10 percentile points on a nationally normed assessment, and that it ‘levels the playing field’ of learning for struggling readers. The Microsoft Learning Tools set is natively built into the Office 365 and Microsoft Edge applications, and supports reading, writing and comprehension. The immersive reader capability in Learning Tools gives users the ability to have content read aloud to them, and lets them adjust settings to break the words into syllables, adjust text size or background colors. Teachers found Learning Tools supports cognitive processes that improve learning. Learners chose the reading voice, pace, background color and font, the spacing of words, and how parts of grammar are identified. Teachers reported these capabilities gave learners from all grade levels a sense of greater control and responsibility for their learning. Learn more in the full report.